Malcolm Green’s early research was in the field of synthesis and reactions of organotransition metal compounds, heterogeneous catalysis and hydrocarbon reactions. He went on to work on carbon nanotubes and the development of the Covalent Bond Classification (CBC) method. His discovery of methods to open the ends of multi- and single-walled carbon nanotubes and their subsequent filling with many materials has shown that nano-crystals inside single-wall carbon nanotubes have quite different properties from those of the bulk form of the filling material. As a result of his Vallee Visiting Professorship, Dr Green (with Benjamin Davis) has shown that the use of wall-functionalized single wall carbon nanotubes filled with a radio isotope of iodine could locate selectively in the lungs of a mouse, thereby acting as a “suitcase” to carry medicines or imaging material into a body in a selective manner. 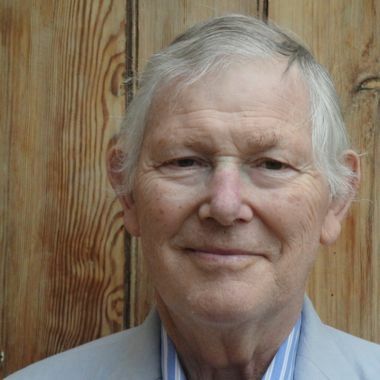 Malcolm Green earned his PhD in 1959 from Imperial College of Science and Technology and worked at the University of Cambridge before moving in 1963 to the University of Oxford where he was Professor of Inorganic Chemistry. In 2004 he became an Emeritus Research Professor and, with a substantial group, continues research on the synthesis, chemistry and physics of carbon nanotubes and heterogeneous and homogeneous catalysis. He is a Fellow of the Royal Society, and of the Royal Society of Chemistry and has been honored with numerous awards, prizes and honorary degrees. He has published more than 700 refereed papers and holds ten patents. He has been cited ore than 30,000 times and has an h-factor of 81.